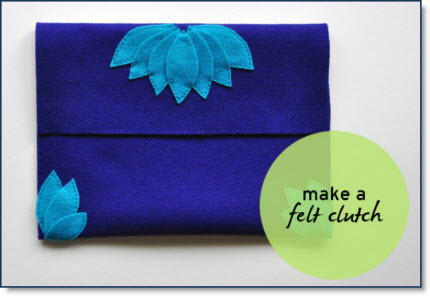 Michele Ng of “Michele Ng” has a very good tutorial “Make a felt clutch Tutorial” that she is sharing with us. She is currently based in Singapore and she is a fashion designer, stylist and make-up artist and crafter. The colors and design that Michele uses for this clutch is so gorgeous and I thank her for sharing her talent.